IT’S 1:00AM AND YOU’VE BARELY MADE A DENT IN DESIGNING YOUr EBOOK! Deep Tissue Massage is a 6-month retainer that lets you delegate your design. You finally finished that project for your business that you’ve been putting off for months. You got to spend the night watching a movie with your significant other & your fur babies without stressing about your business. Your brand is super strong! Time to go out and get a real deep tissue massage. Extra time to work on parts of your business you’ve been neglecting. The ability to focus on pumping out content and not about making it look pretty. Save yourself 5 hours a week attempting to design the next content upgrade for your mailing list. My clients were able to pump out content for their next content upgrades in record time. Emily is a DREAM to work with. I felt a little fuzzy about where I wanted to go with my overall vision, but she helped to clarify and delivered an ASTONISHING set of content upgrades. I recommend her to literally everyone who needs design assistance. $1,000 Per Month With 3-6 Month Contract! Choose Your Spa Day – This is where we will decide which level of commitment you’d like to make! Are you looking to work with me for 3 months or 6 months? It’s really up to you and the amount of projects you’ll have for me. I mean, you will have some extra time to write new content since the design will now be in my hands! Book – Click the book now button above to receive a welcome packet with all the details including the contract, invoicing, and more exciting stuff. Contract & Invoice – I’ll send you an invoice along with a contract that covers what types of files you’ll receive and everything else you need to know. Part of the Team – Now that you’ve officially booked me, you’ve got access to me 24/7 (although I do need some time to sleep and work at my day job). From blog post graphics to website tweaks to eBooks I’ve got it covered. Basically, I’m your official designer on your team! First Project! – Now the real fun begins! Once you send the content and any images you’d like used, I’ll start working on our first project together! You’ll receive the first draft in the next 2-3 days and we can discuss any revisions you’d like to make! Rince & Repeat – You’ll still have a ton more time to spend with me after the first project and it’s time to move on to the next project! If the project isn’t for 2 weeks, then we’ll wait until then! Your hours will never expire, unlike your favorite binge show on Netflix. Get a review of your existing brand! 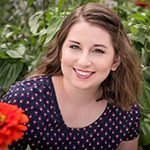 I’m Emily, your design assistant and I help entrepreneurs and creatives create the content upgrades and other eProducts that you are confident about sharing with your audience and dream clients. As a formally trained graphic designer with the expensive piece of paper (*cough* degree *cough*) to prove it, I can help build your brand in a variety of ways. Anything from one-page workbooks to a full eBook, I’ve got you covered. If you can dream it up for your brand, I can help you bring that dream to design a reality. You’ve been in business for more than a year. You’re great with creating content, but need help with design. You don’t have access to design programs or the skills. You are looking to free up your time so either spent on other aspects of your business or spend time with family. You are looking for someone to write content for you. You don’t have consistent projects to design.